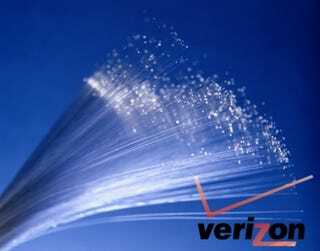 You might have heard about Verizon's new 20/20 symmetric FiOS—a sweet 20Mbps upstream and down. But 20 ain't 100, and we're damn jealous of the Japanese, so we got on the phone and asked the guys managing Verizon's tubes what's around the bend. The scoop for city dwellers is that we can expect "not too distant" announcements about FiOS availability in Manhattan thanks to ultra-bendable Corning fiber ideal for labyrinthine build-out in apartment high-rises. So, what's the holdup on the Japan- style 100Mbps fiber optic love? Doesn't Verizon have the pipes to supply it? Here are the answers to those questions, and the most important of them all: When is it coming to your house? Joking aside, one of the biggest threads in comments about FiOS is always, "When will it be available to me?" Right now Verizon's is available to just 9 million households in 16 states, expanding by 3 million a year to cover a full 18 million by 2010. If you're not in an area covered by Verizon's landline phone service now, though, you're out of luck: Verizon doesn't plan on building it outside the current footprint, which is mostly in the Northeast. If you want to know the evolution of super-sick bandwidth, Verizon currently uses the BPON standard, which has limits of 622 Mbps downstream and 155 up per optical line terminal. One of these can serve 32 households. There's no hardware upgrade required to jump to 20/20 service, just a new service profile and a flip of a switch. Of course 32 households couldn't run 20/20 full blast all at once—but according to Brian Whitton, Verizon's Executive Director of Broadband Access Technologies, simultaneous peak usage on that scale is such a remote possibility it's not really an issue. Yet. Godzilla bandwidth comes into play with GPON, a type of service that can deliver a total pool of 2.4 Gbps down and 1.2Gbps up for the 32 households. Right now Verizon is testing that in Pennsylvania, seeing peak rates of 400Mbps down and sustained rates of 200Mbps. 200Mbps. That's enough to make even the most hardened Tokyo resident jealous with their measly 100Mbps downstream fiber service. And guess what? "Virtually" every network hub built after January will be GPON-based, says Verizon. It has the network set up for easy upgrading, so to bump current hubs to GPON, technicians just have to swap out the boxes on each end of the fiber cable they've already laid. Not too much of a hassle, in other words. As each current hub hits its bandwidth limit, it too will be updated to super-fast GPON.